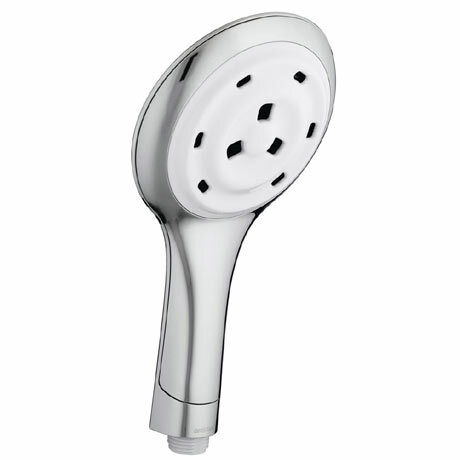 The Bristan Evo Multi Function Handset features Fluidic Spray Technology that provides an enhanced shower experience by simply changing the handset. The water spray is delivered through special nozzles creating larger, warmer water droplets that move in a helix pattern and provide a more drenching shower. Supplied with an 8 litre per minute flow regulator, when fitted to the handset will reduce water consumption and increase water efficiency.